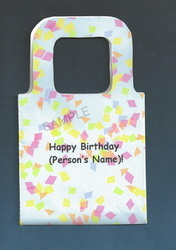 Our Small Gift/Party Bags make perfect solutions for giving small gifts and favors to party guests. 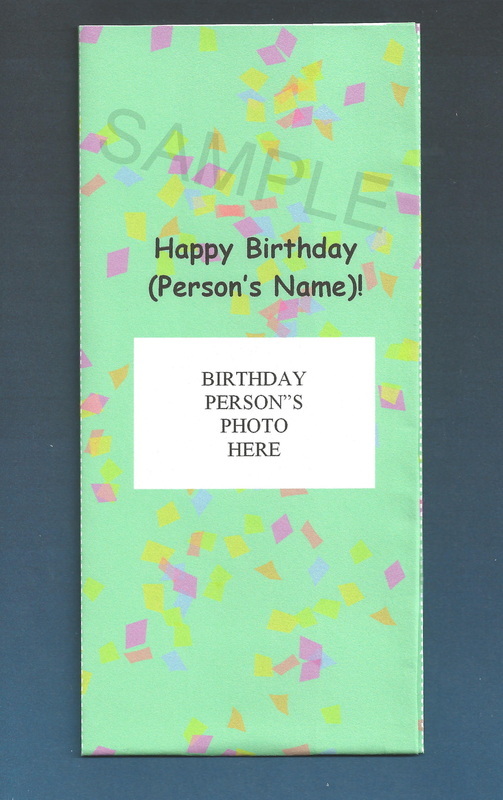 Products on this page are personalized with the name(s) of the person(s) being honored at the party or celebration. 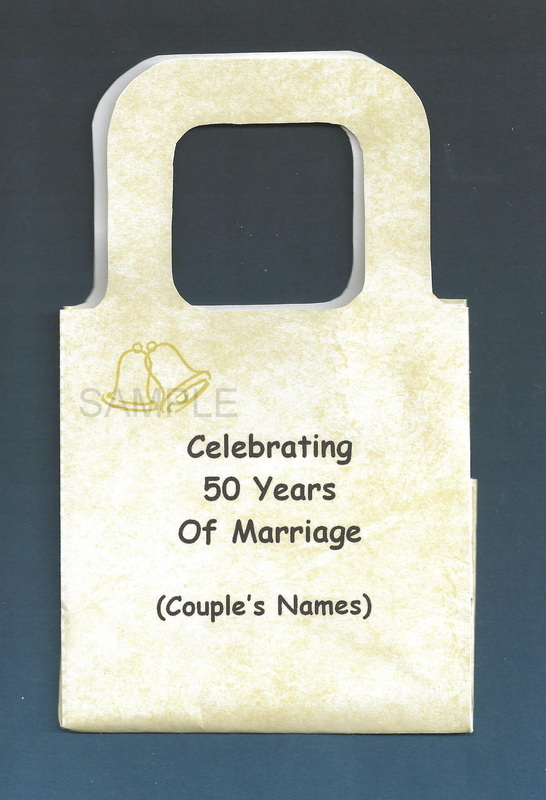 It adds a personal touch when you want to add something extra special for the occasion. 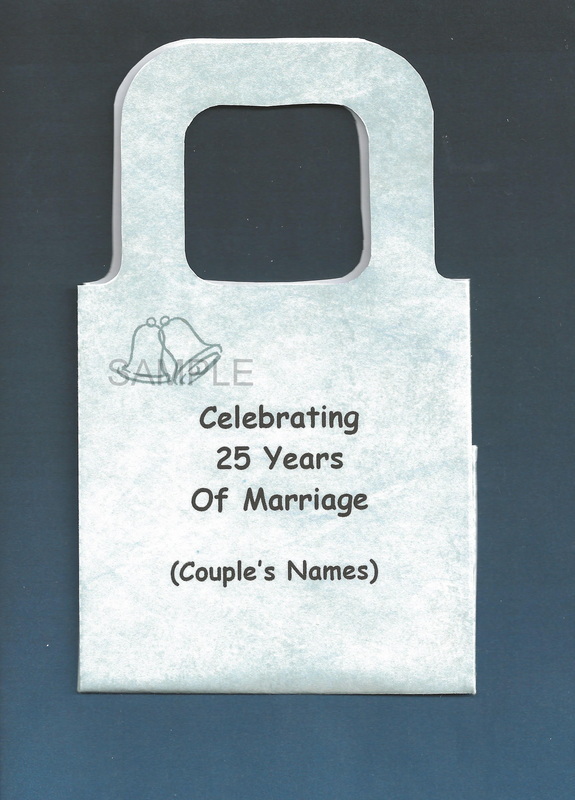 We offer two styles of bags in a variety of decorative themes for different occasions from which you can choose. 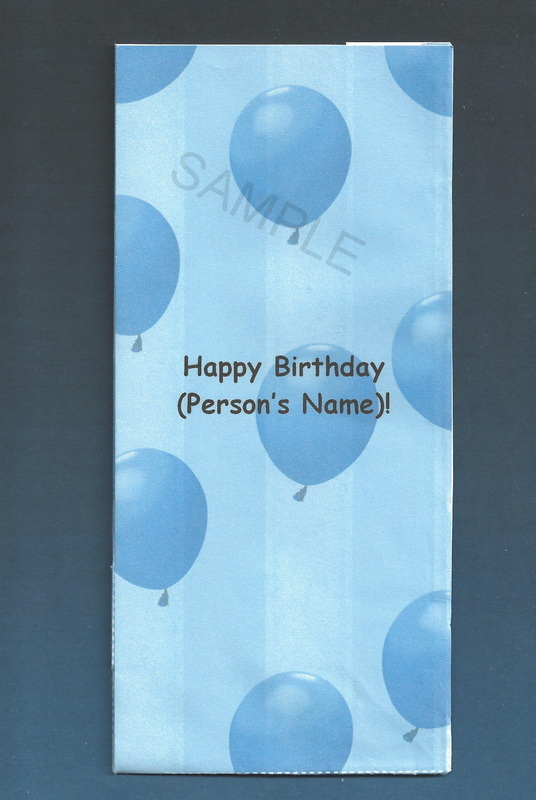 Please click on the links Small Gift/Party Bags, Gift Bags, and Treat Bags to view and order online additional non-personalized products. 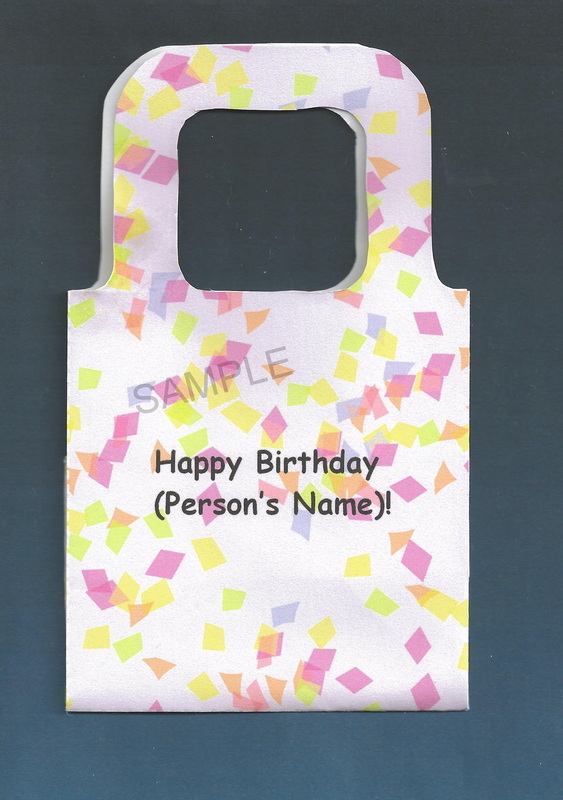 Our Small Gift/Party Bags are the perfect solution for smaller gift items, such as jewelry, wrapped candy and other wrapped small food items, small ornaments, magnets, gift cards, small beauty products, key chains, lip balms, small perfumes, small party favors AND MORE. 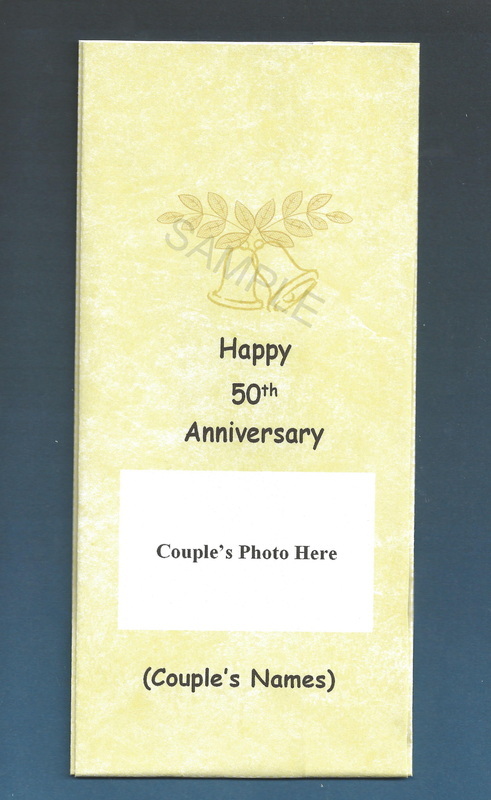 Customized orders may only be placed by phone.Please call us at (313) 375-1846, Monday-Friday, 9:30 am - 4:00 pm (Eastern) to place your order. We value our clients and customers. 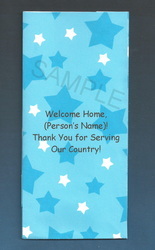 If we are unavailable to take your call, please leave a message. 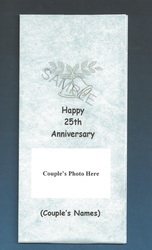 We will call you when we become available during our regular business hours. 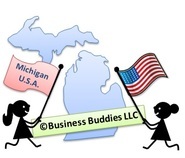 If you have any questions or any of our other products, please feel free to email us at businessbuddies@ymail.com. 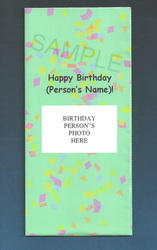 Gift/Party Bags are approximately 6" x 2 3/4" x 1 5/8". 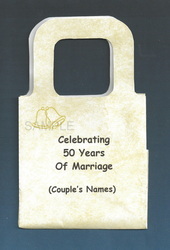 The straight edged bag makes the perfect wrapping solution for small gift items. 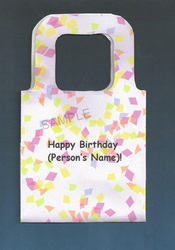 The personalized bags are priced $0.95 each. For a larger view of each Gift/Party Bag and product item number, click on the picture of the Gift Bag or Party Bag. We occasionally add new products, so please keep checking back. Each gift bag measures approximately 3" x 3" X 1 7/8" without handle. 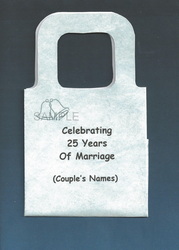 Each gift bag measures approximately 5" x 3" x 1 7/8" with handle. 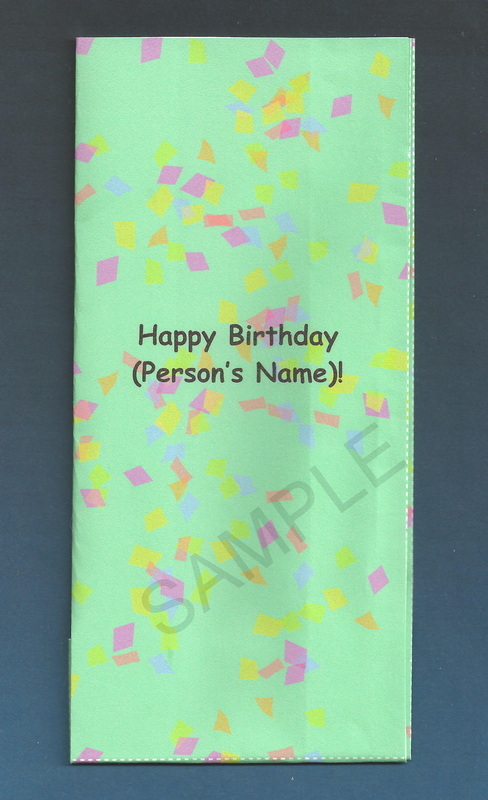 The personalized bags are priced $0.99 each.